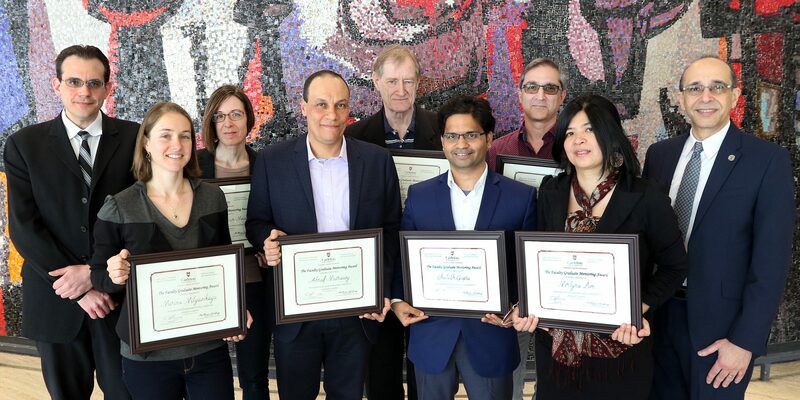 On March 26, 2019 seven faculty members were presented with a 2018 Faculty Graduate Mentoring Award. Congratulations to all! 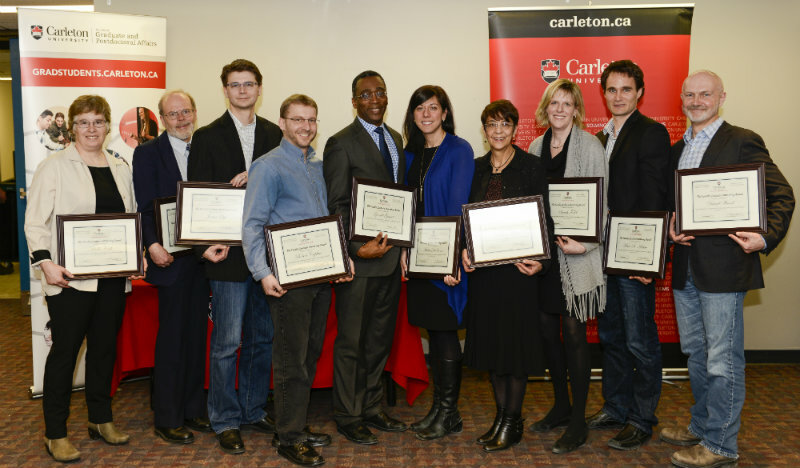 Below are the winners and quotes taken from their nominators’ letters. 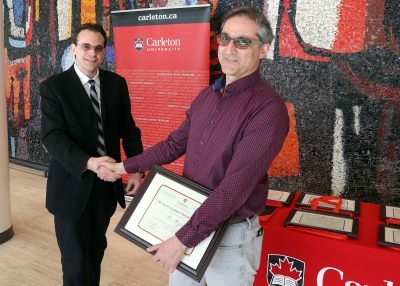 Sponsored by the Faculty of Graduate and Postdoctoral Affairs and the Office of the Vice-President (Research and International), these awards recognize faculty who render exceptional service to graduate students as supervisors and research mentors.The effect of such faculty on the careers of students is frequently transformational. Details about the award are available in our Frequently Asked Questions document. During our one-on-one meetings together, in addition to discussing matters related to research, he also takes the time to understand me as a whole person. I always walk away feeling motivated to do more! Sometimes he would open a session with a practice called ‘Mindfulness’ to help students shake off any stress or pressure they felt, giving them a chance to be present (mentally) in the class. I cannot sufficiently express the positive impact it had on me and my fellow students. It is entirely due to his guidance that I came to understand an essential responsibility of computer science: that while many challenges in computing force us to look inward, into the machinery, there is also a need to turn and face outward and examine the effect these tools have on the world. During conversations, he listens carefully and knows the optimal time to intervene and invite further critical reflection. 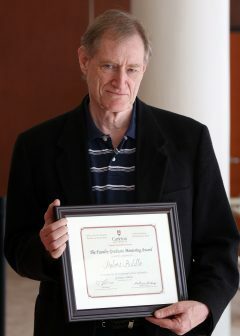 While I’ll never be Robert’s equal, I‘m grateful to call him a friend, a mentor, and a research hero. There is no chance I would be working as a tenure-track professor without Robert Biddle’s faith in me. 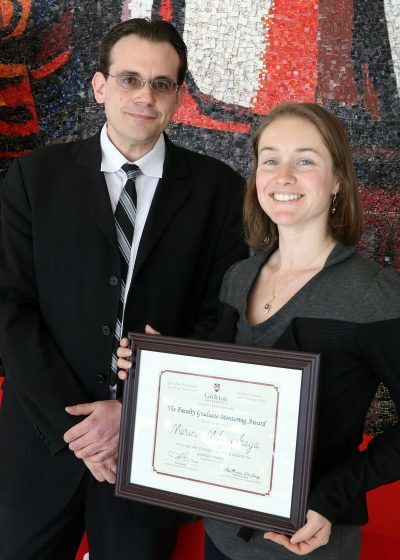 What is striking about Dr. Carrier-Moisan is the extent of thoughtfulness she brings to her supervision and mentoring. 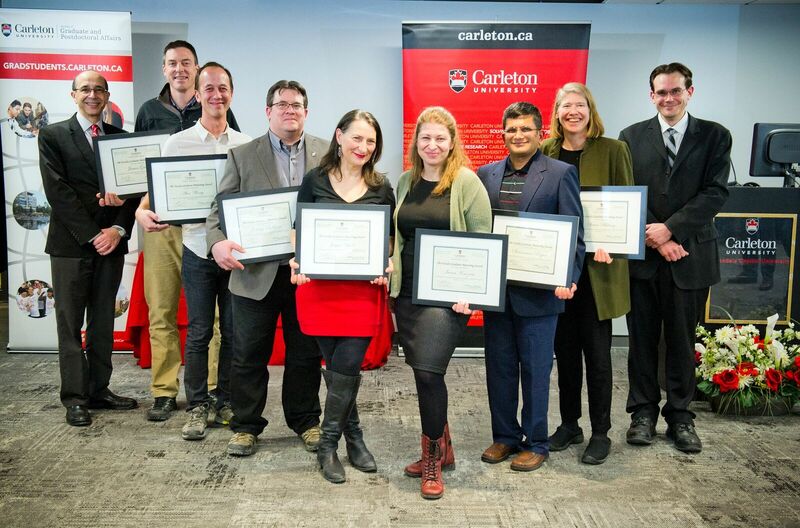 She uses a student-centred approach and constantly advocates for the professional and personal success of her graduate and undergraduate students. She works tirelessly to create an environment where you feel safe to ask difficult questions and make mistakes. At moments when I find myself questioning my future as an academic/researcher, Marie-Eve is always a force of reassurance and encouragement, reminding me of the importance and relevance of my field of study. I would not have survived grad school without an awesome professor, supervisor, friend and mentor like Marie-Eve. The best thing about working with him is that there is constant learning every single day. He organizes weekly group meetings for all the members of his team to stay updated about everyone’s progress, provides his valuable feedback, shares his ideas and discusses everyone’s project thoroughly. 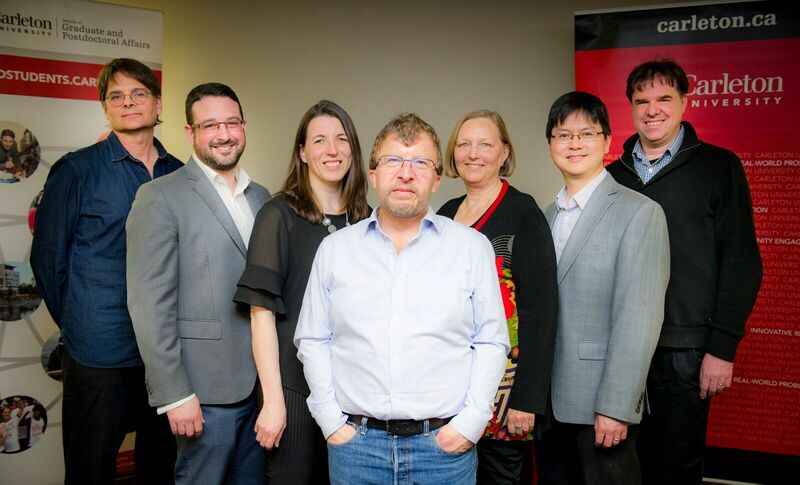 He gave me the opportunity to lead one of his awarded grant projects in collaboration with industry partners. Leading this project has been my most valuable experience for my academic, professional and leadership development. He is very open to any questions, while possessing a seemingly unlimited amount of patience. He carefully considers multiple perspectives, and always considers opposing viewpoints. I remember speaking to a student who was considering joining the program last year, and the first thing I told them was, ‘If Dr. Lim is teaching a class, take it.’ I advised them that even if the topic happened to be outside of their main academic focus, taking a class with Dr. Lim would be one of the best decisions they could make. Professor Merlyna Lim embodies the phrase “tough love”, with an emphasis on love. . . . She was a firm and kind professor. She pushed us to leave our comfort zones and supported us. Her insights have profoundly shaped who I am and how I communicate as a researcher. As an emerging scholar, my current accomplishments and successes are a direct reflection of Dr. Lim’s guidance and intellect. 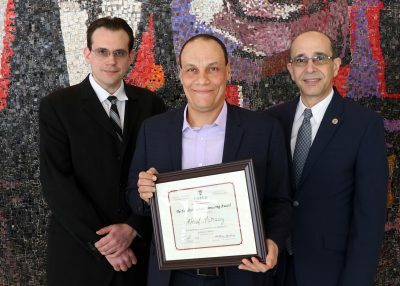 It is a testament to his teaching ability that he has an amazing ability to connect with all his students, no matter what their level of knowledge, and is focused on the big picture. 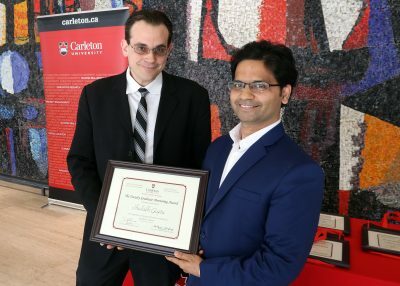 It was the quality of the research work that I carried out under his mentorship which helped me in qualifying for research/graduate scholarships. After obtaining my degree, Ashraf continued to be my mentor as I was seeking an academic career, asking about my job search every time we ran into each other, and always reminding me never to settle for less. He knows how to help out, and has never hesitated to offer advice regarding my applications and job-search techniques. Frankly, my success today is due largely to his support and mentorship. It is only after I started my career as a university professor . . . that I realized the great impact of his mentoring on my advising skills. Whether it was helping me come up with a research topic, advising my scholarship applications, offering feedback on new research ideas, establishing a sense of community and support amongst our lab group, editing abstracts, giving impromptu data analysis lessons, or answering endless emails, Marina consistently goes above and beyond, and even manages to do so with a smile and a great sense of humour! While she is always there to support us academically, she also genuinely cares about our well-being, which makes for a very productive and supportive lab environment. 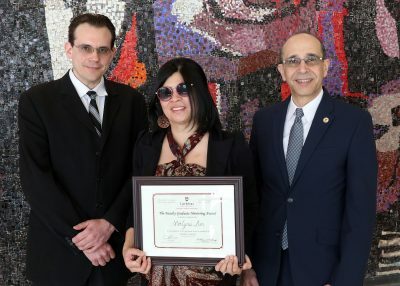 Milyavskaya is also an inspiring role model in her creativity, passion, and productivity in research, and in her commitment to generating high quality research. 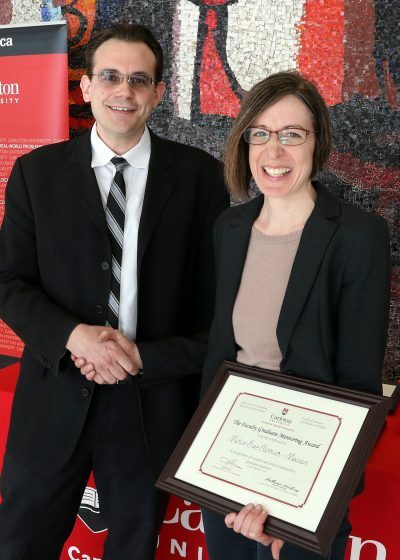 She advocates for honest and open science, and she embodies this by making open science practices such as pre-registration and sharing data an integral part of the work conducted in the lab. 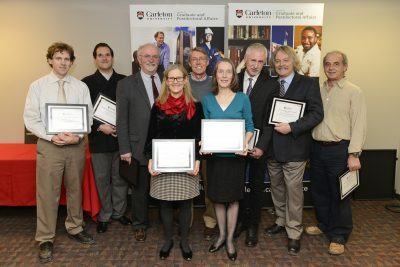 On March 6, 2018 seven faculty members were presented with a 2017 Faculty Graduate Mentoring Award. Congratulations to all! 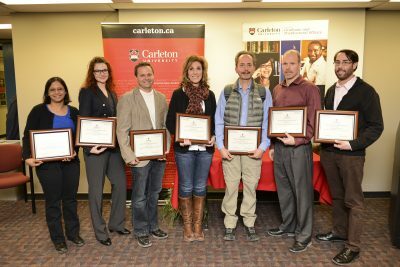 On March 1, 2017 seven faculty members were presented with a 2016 Faculty Graduate Mentoring Award. Congratulations to all! 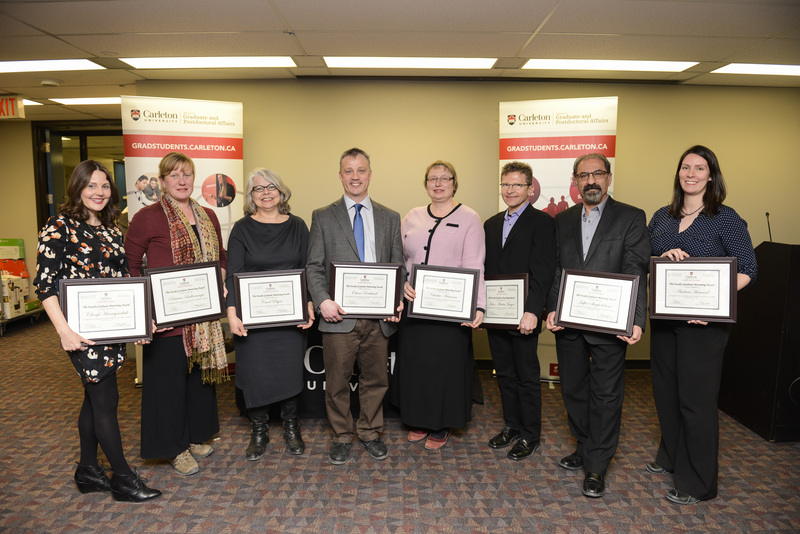 Below are the eight winners of the 2015 Faculty Graduate Mentoring Awards.